This post is in collaboration with and sponsored by Mirum. Winter time is the worst on my skin. Seriously, my face has been as dry as the Sonoran desert I live in. So dry, flaking and not at its best. When it comes to a full skincare routine, I wanted to share a super affordable four-product routine. Because Valentine’s Day is right around the corner, I want to make sure I have my skin in the best possible condition for my date with the Mr. Not just because I want my skin to look nice for anyone but myself, but I love the feeling of healthy smooth skin, so I take skincare v seriously. You know how I do it. 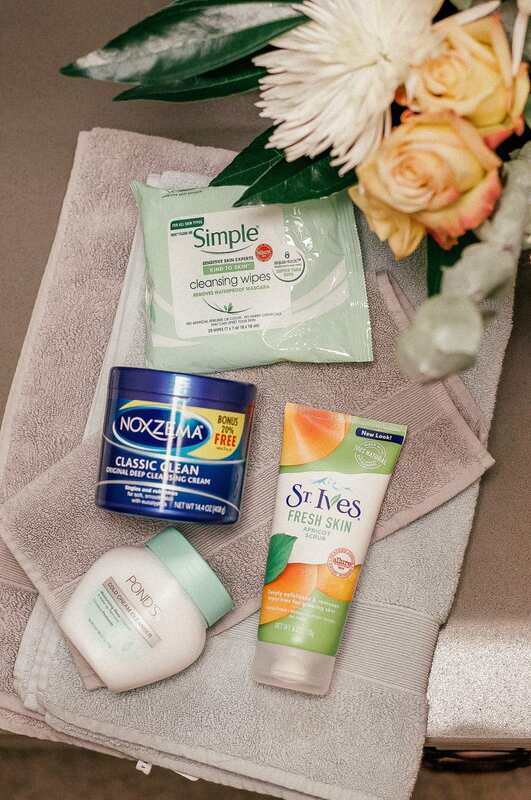 When it comes to my everyday skincare routine, I always start with Simple Cleansing Wipes. They are perfect for removing makeup and feel so silky smooth on the skin. The best thing about them is that they are perfect for sensitive skin, which you know I struggle with day to day. I quickly remove the seal and grab a wipe. My biggest tip about these is to ensure that the seal is always completely closed, after every use. If you leave the package open, the wipes are going to dry out much quicker which won’t be as soft and gentle on the skin. Keeping them moist and fresh is the best way to keep them the most effective. After removing the cleansing wipe, I go in with the Pond’s Cold Cream Cleanser. This is such an awesome product and I’ve never used anything like it before. When massaging this cream on the skin, it helps to dissolve all traces of makeup. In addition, it helps to moisturize my skin giving that soft radiant glow. I love how easily this removes all makeup and cleanses my skin because Pond’s makes my routine so much quicker. For nights when my skin is feeling extra flaky, I like to go in with a scrub. The St. Ives Apricot Scrub contains 100% natural walnut shell powder which helps to deeply exfoliate the skin a make it clean and super glowy. I like to scrub this onto my fingertips and massage onto damp skin. The best way to use this scrub is by moving it in circular motions to get a nice blood flow going through the skin. Helping awaken circulation in your face will give you that will give you that dewy glow. On days where I want to do a deep cleanse, I finish up with Noxzema Classic Clean, Original Deep Clean Cleansing Cream. Noxzema Cleansing Cream helps to give a clean, refreshing, soft, smooth feeling to my skin with a deliciously refreshing tingle. Especially when it comes to the winter season, I really need a deep cleanser that won’t dry out my face. It helps to reach into pores to remove that dirt, oil and all makeup while maintaining moisture in my skin. In terms of my routine, I recommend removing makeup with a Simple Cleansing Wipe, then cleansing with the Pond’s Cold Cream Cleanser first, then Noxzema Cleansing Cream, especially on full-face-makeup days! 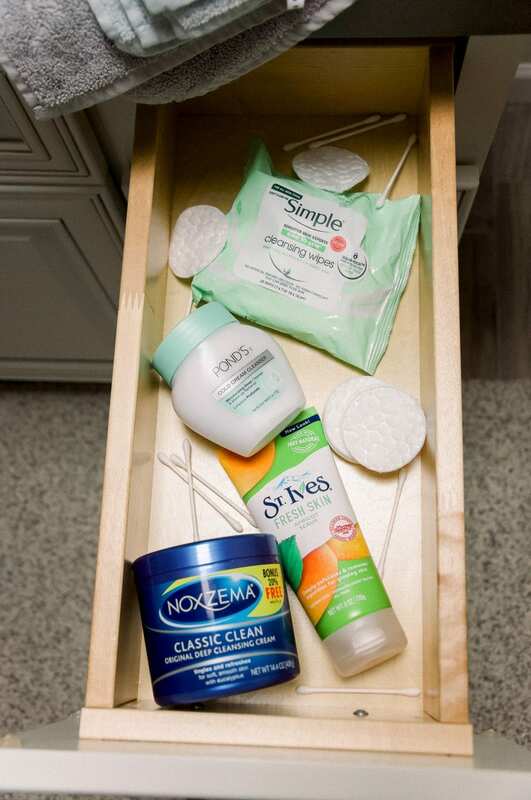 That double cleanse will make sure no traces of makeup are left on your skin. Once the makeup removal and cleansing are done, you want to use a little scrub in to get that smooth soft skin. Some days I use all the products on my face, and other days I focus on 2-3 products to get the quickest and best result. What's your go-to skincare routine?